It only took Samsung three years to produce a phone worthy of competing with the de facto smartphone at the time: the iPhone 3G. In 2010, Samsung released the Samsung Galaxy S to much fanfare, with specifications worthy of competing with Apple’s iPhone toe to toe. For a couple years, everything at Samsung’s mobile division was well and rosy. The team continuously beat internal sales targets for almost every device they produced, and had a strong brand that rivaled Apple’s in both the media and the minds of consumers. However, just as soon as they caught up with the iPhone, Samsung’s entire mobile division started to crumble. At first, no one noticed the hairline fractures appearing on the pillars of Samsung’s mobile division. The team continued to do what they did best, often using the same tactics that made them successful in the first place, over and over again. But although no one noticed, the cracks were slowly widening. It was a slow, gradual process. Those who did notice it thought nothing of it: colossal amounts of money were still flowing into the company. Who had the time to care about those tiny cracks? But slowly, as the months passed, people began taking note of the ever-widening cracks. And they tried – they really did – to fix it. But it was too late. The pillars – and the division they supported – were on the verge of collapse. 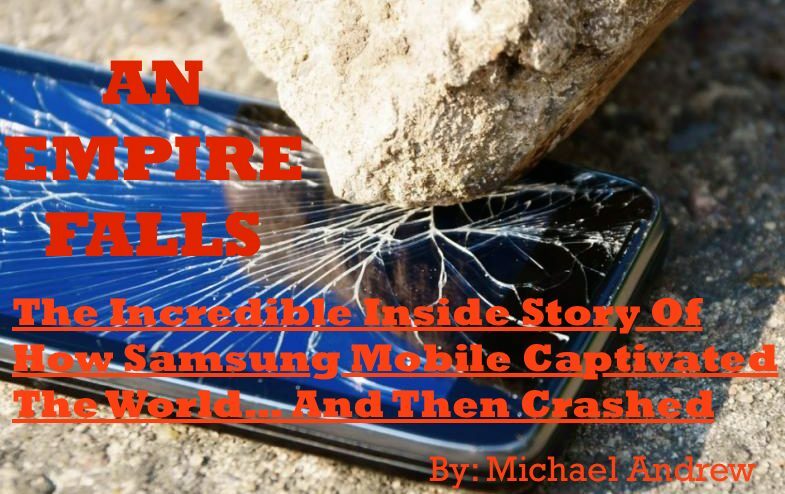 What you’re about to read is the true story of how Samsung’s mobile division took the world by storm, and then, just as rapidly, crashed. It’s a story of arrogance, money, and toxic culture. It was March 13, 2013. Just a few short weeks ago, many within Samsung had seen the internal sales projection chart for the latest device they were going to release. To any outsider, the numbers would’ve been staggering – and almost impossible to achieve for any company besides Apple. But those within Samsung were unfazed. They were on a roll, and they knew it. All eyes were on them. Within a few hours of the projection’s internal release, Samsung’s marketing team got down to work. The goal? To convince analysts that the numbers they had predicted were actually within reach. That only Samsung, and no other company, could be capable of selling a piece of hardware at that scale, for three times the amount it had cost them to build it. That Samsung, and only Samsung, was the future of the mobile industry. For a profession full of skeptics who are usually well-versed in (and adverse to) snake oil salesman tactics, it was unusual to see the analysts eating Samsung’s argument right up. Many did not even bother to question how Samsung arrived at those numbers. The smartphone that was about to be released would be Samsung’s flagship phone for the year. 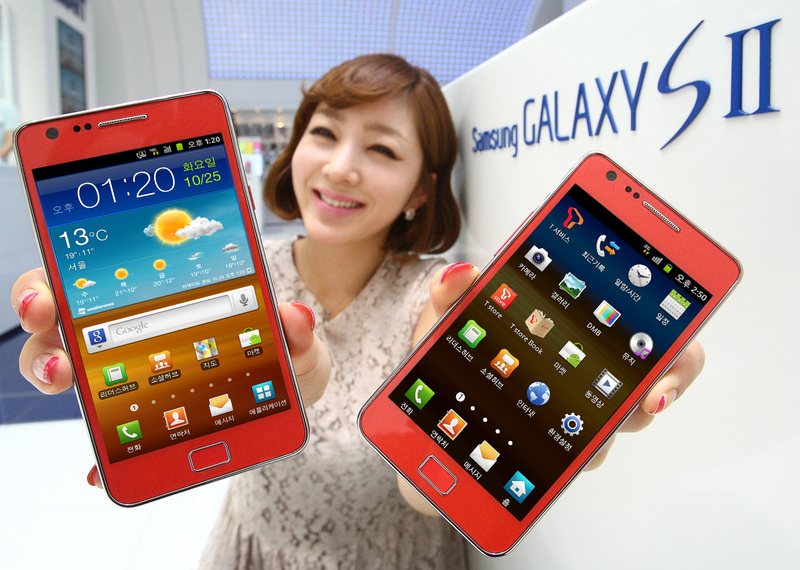 The smartphone would be rolled out simultaneously in the highest number of countries for a Samsung Mobile launch ever. Samsung was the creator of the device. Samsung – the one company that Apple feared in the mobile industry. And Samsung didn’t fail. Samsung couldn’t fail. By all measures, it seemed as though Samsung’s marketing spell worked. Everyone was bullish on the sales of the new device – if you were an analyst who wasn’t convinced of Samsung’s argument, you were the outlier. The more level-headed analysts began noticing a trend sweeping the industry: if you were too bullish, you’d be lauded for being brave. If you were even bearish at all, you’d be taunted for being too pessimistic. With Samsung’s latest earning projection, it was either up, or out. 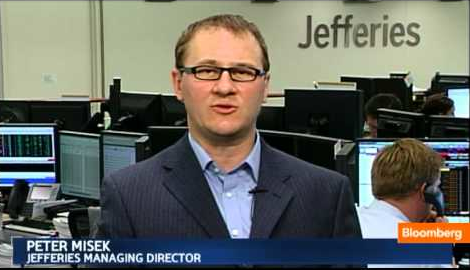 In mid-February, Peter Misek of analyst firm Jefferies & Company came out with perhaps the most optimistic number: 100 million. Samsung would be able to achieve what took Apple four years in just a single year, he claimed. Soon thereafter, other numbers began rolling in. J.P. Morgan and Goldman Sachs predicted 80 million. Bank of America predicted 70 million. 230 Fifth: Hopes were high for the next day. At 230 Fifth, New York’s premier rooftop bar situated at the corner of 27th street and 5th Avenue, a group of Samsung employees huddled around a table, with their second or third drink in hand, soaking in the breathtaking view of the Manhattan skyline. It was late into the night, but they were sober enough to make one last pact: if everything went well the next day, they’d meet up again at the same bar to celebrate the day after. 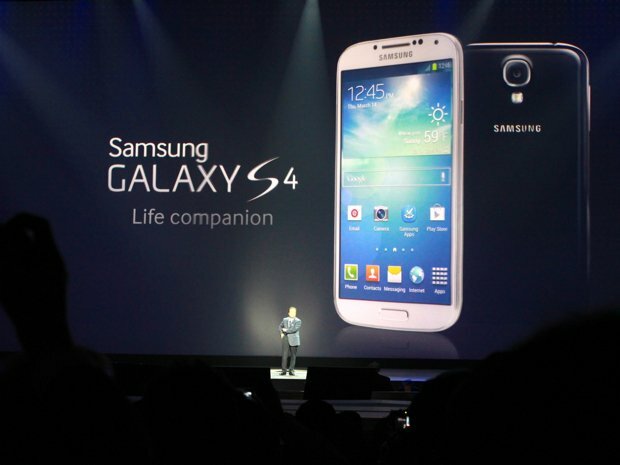 The Samsung Galaxy S4 was poised to steal the headline from any other news. As papers hit the newsstands and technology bloggers filed their morning stories, the Samsung employees who had gathered at 230 Fifth two nights ago all knew where they were headed to that night: back to the bar. “Now Samsung of South Korea is stepping up its challenge to Apple, bringing the battle to its rival’s home turf,” the New York Times’ report on the event breathlessly declared. 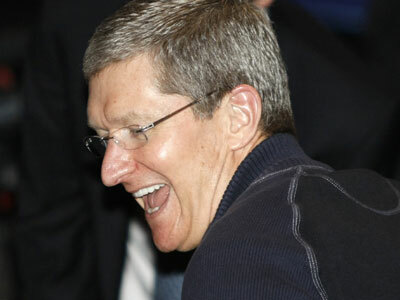 “Samsung Galaxy S4 builds iPhone-like hype“, the Wall Street Journal’s headline screamed. “[This is the story] about who Samsung is and where they want to be. It is clear today that they want to play in an ecosystem game… their own ecosystem. The word Android didn’t come up once,” Gartner analyst Carolina Milanesi was quoted on a Reuters report. The Big Reveal: J.K. Shin shows the S4 off to the world. 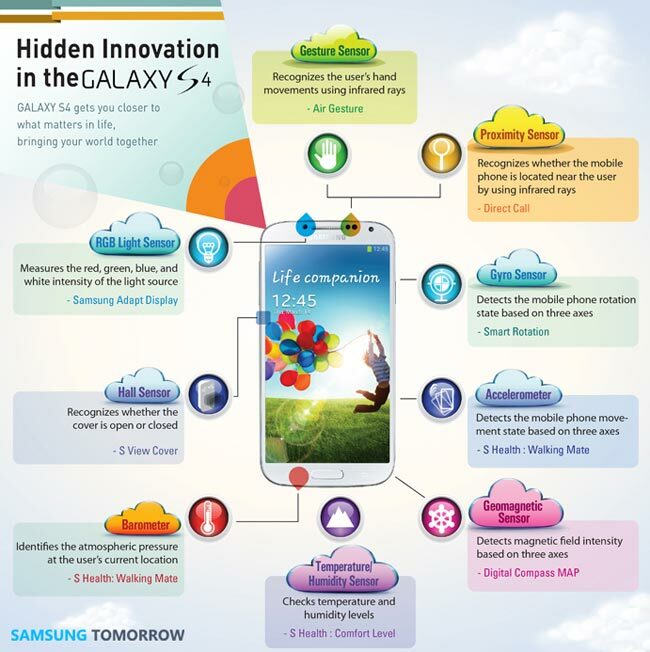 By most accounts, the launch of the Galaxy S4 had been an unprecedented success for Samsung. Everyone who had worked on it congratulated their coworkers and received congratulations back. The all-around schmoozing lifted the team’s morale to the next level – a level of invincibility. It began with the belief that they deserved all the lavish attention the press was showering on them. They had, after all, worked hard for it. Sure, the cynical press could criticize them, but the consumers – the ones who mattered – would still buy the smartphones anyway. The faster Samsung produced the phones, the faster they were snapped up. Then came Samsung’s ultimate validation: the perceived downfall of the Apple empire. In the face of Samsung’s brute-force marketing tactics – most of which were centered around relentless mockery of Apple’s products and fan base – and stagnant iPhone sales, Apple’s stock had tanked by more than 20% in the stock market. When Apple began shopping its senior vice-president of global marketing Phil Schiller around to different media outlets to talk about why the iPhone was superior to the Galaxy S4 (a strategy considered by many insiders to be a sign of weakness, given how self-assured and guarded Apple tended to be), one Samsung employee sent an email to another, written with the air of hubris that had now pervaded the entire Samsung Mobile division. The WSJ article that got passed along in Samsung. As Samsung continued to view Apple products with disdain for what they believed to be its non-functionality, some of the employees hired in the pre-Galaxy S era were left feeling jaded. Many of them noted that without Apple, there could not have been a Samsung Mobile. The Apple-Samsung trials: just how much did Samsung try to copy Apple to recover from their “crisis of design”? When Apple first released the iPhone in 2007, Samsung’s employees were among the first to buy them, not for themselves, but on company orders: the iPhones were to be taken back to Samsung’s labs and dissected. The directive came from above – that whatever Samsung was going to produce next, it had to look and function very similarly to the iPhone. 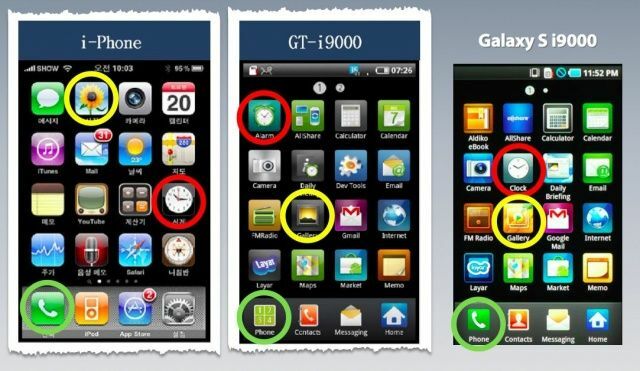 Samsung was going to put a stop to this “crisis of design”, declared J.K. Shin, the head of Samsung Mobile. There were risks, of course, but the company was prepared: just as quickly as they beefed up their engineering team to counter Apple’s blows, they staffed up their legal team too. They were armed to the teeth, ready to beat Apple at its own game. Perhaps foreshadowing the future, the framed poster was taken down a couple weeks later, when the executive moved to a different room. It was never hung back up. Fast forward a few years, and Samsung Mobile had more or less accomplished their mission of establishing their dominance over Apple. But there was a price to be paid for moving so quickly: the cracks had begun to show. The novelty features in the S4: helpful, or just garbage? The day after the launch of the Galaxy S4, Samsung shares were down 1.1% in early Seoul trading. After the initial hype, some reporters and analysts were disappointed that the Galaxy S4 wasn’t more revolutionary, rather than just evolutionary. Others thought that Samsung was stretching itself too thin by incorporating a ridiculous amount of novelty features, instead of focusing on the important features that would persuade more customers to pick the smartphone up. To counter the slight slump in sales in the months following the launch, Samsung ramped up their advertising budget for the smartphones to almost half a billion dollars that year. Slowly but surely, Samsung’s executives were conditioned to accept a dangerous message: if the merits of the smartphones we produce can’t get us enough buyers, then marketing can always compensate for it. Marketing will compensate for it. And so within Samsung Mobile, a new plan was devised accordingly: from here on out, speed of production would take precedence over quality. The quality of a product – as long as it is good enough to ship – would be placed on the back burner. The plan for Samsung Mobile moving forward was clear: build, produce, market, sell… at three times the previous pace. The teams slowly learnt that the best way to maximize on their stratospheric rise was to produce as many smartphones as humanly possible and release them, flooding the market while carefully observing which models stuck with the consumers and which didn’t. The team that created the most successful device would be handsomely rewarded in their yearly bonuses, and the device they made would form the blueprint for the next few Samsung devices, which would all ride on the coattails of the original smartphone’s design. A few months later, the consequences were clear: Samsung was now churning out smartphones virtually indistinguishable from one another, with the biggest differentiating factor between them being their names and marketing slogans. Those within Samsung who wished to innovate and try out different models were discouraged from doing so in various implicit ways, often involving the upper management. They were given smaller budgets, reassigned to a different team already working on an existing model, or offered only those engineers who had a mediocre-at-best track record. Even if a team managed to get past those hurdles, the idea or concept would ultimately be vetoed before production even began. By late 2013, many within Samsung could agree on one thing: the culture of innovation was dead. And it would be almost impossible to revive it again. One morning in February 2014, the Samsung Mobile sales team gathered around in a conference room. There was only one objective to the meeting: to establish the final projected sales for what would be Samsung’s flagship smartphone of the year, the Samsung Galaxy S5. The Galaxy S5 was to be a cumulation of everything Samsung had learnt for as long as they had been in the telecommunications industry: it was meant to be practical, competitively priced, and extremely marketable. They finally settled on a number: 17 million within the first three months. To match that number, they decided they would also increase the advertising budget (which would be compensated for by the increase in sales, they reasoned) to hype the Galaxy S5 and energize the market. To ensure that there would be enough supply to meet the projected demand upon launch, Samsung ordered its manufacturers to step up production of the Galaxy S5 to 20% higher production than they’d had for the S4 – a fatal mistake that they would soon come to regret. But working unquestioned and unrestrained, Samsung Mobile, the most profitable division in the company, was given free rein to do anything except burn the building down. Many in the team had a not-so-secret abstract goal they wanted to achieve with the launch of the Galaxy S5 – one that was born out of an internal joke from Apple’s marketing team and later voiced out by Apple’s Phil Schiller at the Apple-Samsung trials – “Each new generation of [iPhones] sold approximately equal to all previous generations combined.” Substitute iPhone with Galaxy S5, and you have Samsung’s aspirations for their flagship smartphone of 2014: for it to outsell every single Galaxy S smartphone produced before it. It was a daunting task ahead, but it wasn’t anything they couldn’t handle. They were, after all, leading all the other manufacturers in marketshare in an industry that has become both saturated and increasingly hard to compete in. They were invincible, and the world, they had come to believe, was their oyster. To change things up, they decided to hold the keynote for the Galaxy S5 almost 4,000 miles away from the venue where they announced the Galaxy S4, in Barcelona, Spain, where Samsung would be headlining the annual Mobile World Congress. The launch was going to electrify the consumer technology world, and Apple’s next iPhone release was going to have to compete against the benchmark they were going to set at the Mobile World Congress – or so they’d hoped. It would be a dream that never materialized. What happened next was an unmitigated disaster of the wildest proportions, inconceivable to none but Samsung’s crisis management team. It was late into the evening on November 23, 2014. Most of Samsung’s most senior executives had just arrived home when they were greeted with a slap in the face from the Wall Street Journal’s Technology section. 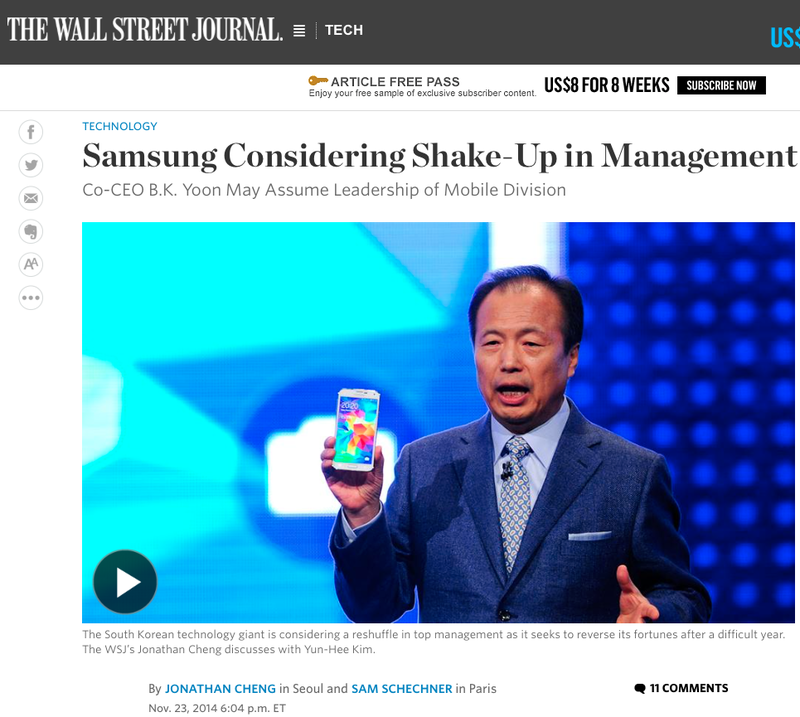 This WSJ article created a firestorm within Samsung. Just an hour ago, Wall Street Journal reporters Jonathan Cheng and Sam Schechner had published an exclusive titled “Samsung Considering Shake-Up in Management” with the subheading that clued readers into the internal turmoil that Samsung had been facing in the last few months: “Co-CEO B.K. 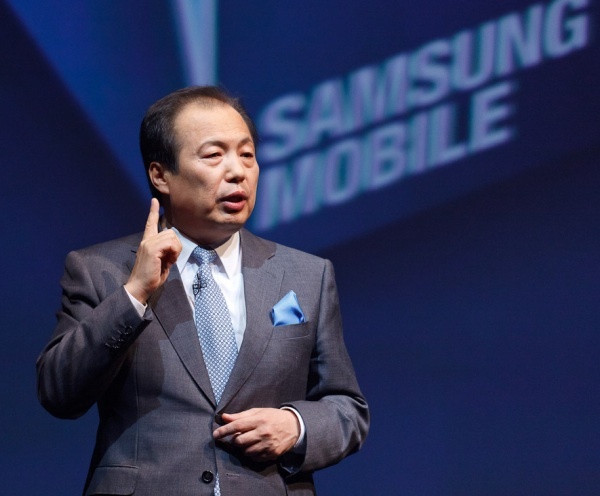 Soon May Soon Assume Leadership of Mobile Division.” The report, which cited “people familiar with the matter”, described the exceptionally disappointing sales of the Galaxy S5 and mentioned J.K. Shin’s imminent firing. Now that Samsung’s dirty laundry had been aired to the public, its executives in Seoul began to worry about the future of their most profitable division – what had been the crown jewel of the company for years since the production and the massive success of the Galaxy S line. Already privy to the shockingly rapid decline in sales of Samsung’s latest smartphones, the executives called for a company-wide inquiry and suggestions for reform. But now, it seemed, they would not only be fighting against time to complete the inquiry, but also fighting against what they considered to be the lynch mob – or the public, who had become increasingly weary and cognisant of their marketing tactics. Anger flared throughout the night, as increasingly frustrated conference calls were made and all-caps emails were sent and received. There was nowhere left to hide. Samsung’s top echelons realized they could no longer tell themselves that profits would compensate for a lack of innovation. They had dried up the Innovations Well in favor of the Profits Well. What they weren’t expecting, however, was for the draught to arrive so quickly. Samsung’s mobile business was tanking rapidly. The numbers speak for themselves: the flagship smartphone of 2014 – supposedly the best product they were going to release all year – sold 40% fewer handsets than the 17 million originally projected, which was four million less than the preceding flagship, the Galaxy S4. 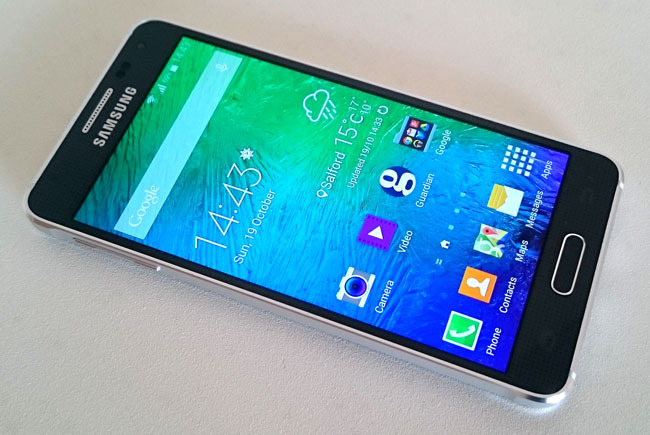 Although Samsung was able to secure the roll out for the Galaxy S5 in 150 different countries, only the United States market experienced an increase in buyers. Everywhere else in the world represented a drop in marketshare for Samsung… and an especially humiliating drop in one particular market: their home turf, Korea. A few years ago, Samsung’s marketing team used to pass around a joke that went along the lines of, “there are three things a Korean must do before dying: go through the (mandatory) military service, pay taxes, and buy a Samsung product.” In other words, it was almost a patriotic duty for a Korean to buy at least one Samsung product in his/her lifetime; Korea was seen as the safety net market, in case any of Samsung’s ventures aboard went awry. But now, it seemed as though Samsung was losing its once vice-like grip on the market. It would be the final blow to a division of a company already on its last stand. 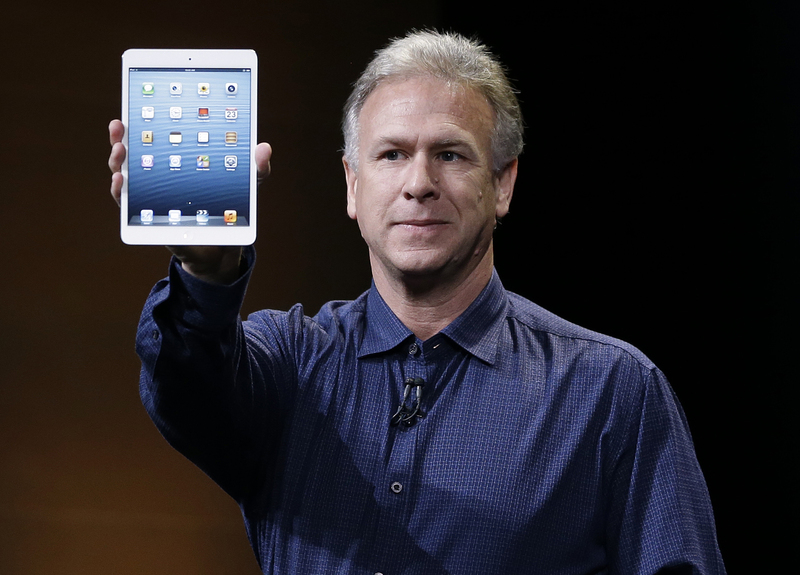 With the release of the iPhone 6 and iPhone 6 Plus from Apple, however, the tides changed. Upon the phones’ release in Korea, Apple saw its market share double from 15% to 30%. And when something increases, something else has to decrease to make room for it. On the loser’s end was Samsung Mobile, which saw its market share drop from 60% to 46% in the same period. Samsung Mobile, executives decided, would not and could not continue to operate the same way it used to. It was time to get hands-on and provide parental guidance to a division that had operated for too long on its own free will. They wanted to slow down device production (euphemistically called “portfolio restructuring” within the company) and focus on quality instead of quantity. That couldn’t be done: Samsung Mobile’s culture had been cultivated to value speed and agility, and little else. They wanted to decrease the advertising budget, which had grown into an uncontrollable monster of its own. That couldn’t be done: doing so would further hurt the already declining sales of the smartphones currently on the market. They wanted to restructure the leadership of Samsung Mobile by bringing in more competent leaders with fresh new ideas. That couldn’t be done: the Korean culture of deep deference and loyalty to those who are senior age-wise meant that any sweeping changes were out of the window. Realizing that they were largely immobilized, the executive team began doing everything they could to save the sinking ship. If there was even any chance left to keep Samsung’s mobile division from going down completely, they had to act now. To revive the lost spirit of innovation and demonstrate that quality still had a place within Samsung, the executives ordered the production of the Alpha series of smartphones, which featured an ultra-thin and sleek profile in addition to being ergonomically comfortable. To show that innovation and quality – concepts alien to employees who had been conditioned to continuously churn out slightly-varied-but-mostly similar smartphone models – would be valued once again. To motivate the team to produce devices that were both functional and beautiful. Those two things shouldn’t be mutually exclusive, the executives said. In short, the Alpha line was created more for the Samsung Mobile team than for the customers; it was a practical lesson for the company first, a consumer product second. It was Samsung’s version of the Apple SuperBowl ad, 1984. 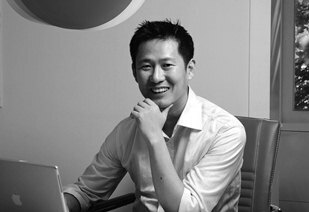 Putting their money where their mouth was, they also hired Lee Don-tae as the company’s new global design chief. Don-tae wasn’t just any other run-of-the-mill designer. He was a staple name in the design industry, having worked shoulder to shoulder with Apple’s famed design boss Jony Ive once in a design studio called Tangerine. The goal of his hiring was simple and clear: to make people want to buy Samsung’s smartphones once again. With those first two problems somewhat solved, there were more urgent problems brewing in the company that needed the executive team’s immediate attention. The executive team, led by J.K. Shin and CMO Seok-Pil Kim, had to find a way shut off the ever-running faucet of advertising dollars that was going down the drain. By now, Samsung’s advertising and marketing expenses were already costing the company 8% of its overall revenue, to the tune of more than $14 billion a year – a number slightly higher than Iceland’s GDP. It was clearly getting out of hand, but they still couldn’t just slash the budget right away. Instead, they decided to reduce the advertising budget for markets that were doing decently well and instead honed in on the markets where Samsung products had failed to gain any traction or where market share had slipped considerably, such as China, where demand for the Galaxy S5 had nosedived by 50% as compared to its direct predecessor. In China, the dynamics of the game had changed so rapidly that Apple was hardly Samsung’s biggest concern: Xiaomi and Huawei – two company names foreign to most Americans – were gobbling up market share with their inexpensively-priced quality smartphones. 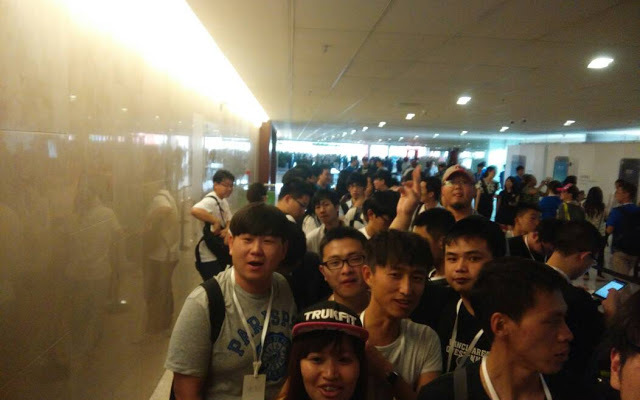 Xiaomi’s rabid fans waiting to buy Xiaomi’s latest products. With the first two initiatives underway, turnaround now seemed more viable than before. By mid-December, there was a new glimmer of hope within Samsung: maybe – just maybe – their situation would improve before they hit rock bottom. The dream referred to the industry adage that would make its way around every so often: it has to get worse before it gets better. In other words, if your company is struggling, you probably have to wait to hit rock bottom before it’ll improve. But no one could celebrate just yet. The executive team’s hardest task was still ahead of them. It was the task dreaded by all but the most sadistic executives: firing and laying people off – people who used to be their employees, friends and confidants. Be that as it may, there was no other choice: Samsung had, during its hyper growth period, become bloated with incompetent bureaucrats and incompetent middle managers. It was time for them to go. Knowing that the cultural barrier in Korea would be almost impossible to break without a complete fallout, the executive team decided to focus elsewhere, where such challenges didn’t exist – at least not to the degree that it did in Korea. 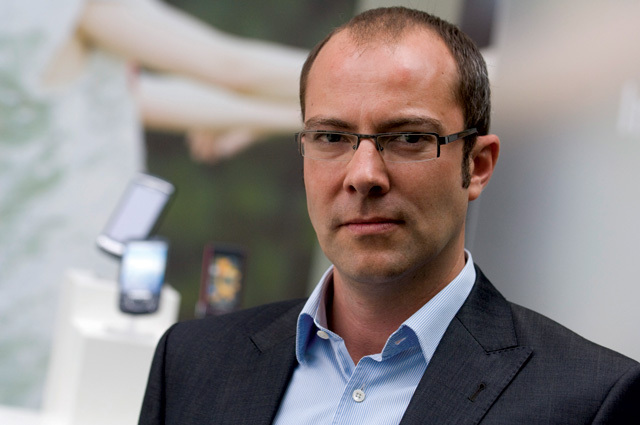 The massacre first began in Europe, where U.K. mobile chief Simon Stanford was pushed out this spring following disappointing sales results in the preceding quarters. His replacement, Rob Orr, who once led BlackBerry’s ultra-profitable UK business and who describes himself as a “fly fisherman and wannabe chef”, was pushed out less than 60 days after he was hired. Directionless and without a leader, chaos reigned until a few executives flew in (on economy class, not business due to the company-wide belt-tightening) to provide guidance. The U.K. was just the start, the company grapevine rumoured, with higher profile exits planned for 2015. Even today, after all these drastic measures, dreaded questions loom over the Samsung employees: can the division still be saved? How much more hell will it have to go through before it starts to get better? Will there come a day when the words “Samsung Mobile” becomes a black mark on a resume instead of a proud accomplishment? It was -10 degrees celsius on a Friday afternoon, and I was sitting in a Coffee Bean in Seoul’s upscale Apgujeong-dong district. Sitting opposite of me were three Samsung employees, who had agreed to brave the cold to talk to me about the crumbling state of Samsung’s mobile business. I had just wrapped up my interview with them, when they told me more about the head of their division, J.K. Shin. Unlike his American counterparts, most of Shin’s personal life is elusive, hardly covered by the international media. I was told that the general sentiment in the division was a hope that Shin would be replaced in the near future – they had at first believed that Shin, with his marketing brilliance and charismatic flair, was the guy to lead Samsung to the top, but that now, he doesn’t seem to know what to do to save a company that is falling apart. Many believe that he isn’t doing enough, and that the measures he’d taken during the months leading up to the meeting were nothing more than stop-gap measures, supergluing the ever-widening cracks on the pillars. It seems it’s time for him to go. And with that, we stood up to go too, since darkness comes earlier in the winter months. We left the café and walked together to the taxi stand, where a cab quickly pulled up in front of me. I asked the three Samsung employees if they’d like to take it and leave first, since they were going back to the office. “No,” one replied, smiling wryly. “It’s harder to expense now.” They took the subway instead. For Samsung, the road ahead is paved with trials and tribulations. 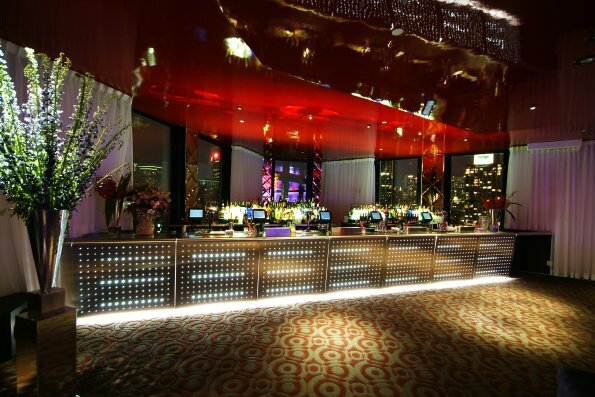 It will be filled with pink slips and tears, not receipts to the most expensive rooftop bar in New York. But this is the last chance they’ve got to save themselves. It only took Samsung three years to produce a phone worthy of competing with the de facto smartphone at the time: the iPhone 3G. But it also only took them three years after that to demolish the entire division. Both Samsung Mobile Korea and its U.S. subsidiary declined to comment on this article. Reporting from Seoul, New York City and Singapore.